It's no secret that I'm quite a klutz and end up in comical yet painful situations like slipping and falling, banging into doors or accidentally slicing my hand ever since I was little. But this month, I took the cake and fell not once, but twice splat on my backside in a span of ten days. The first one was pretty intense and painful and I attribute it to a broken step and my platform heels (coming to think of it, the last time I tripped and fell last year was while I was wearing the same pair! Must be careful of them now!) while the second was at my regular Friday night watering hole where just as I was about to be sit on a chair, a waiter pulled it back to adjust it for me and thanks to our mismatched timing, the rest is history. Now as funny as it was, I ended up with a nagging lower back pain thanks to these two incidents and was in dire need of some repairing. Luckily for me, Serena Spa came to my rescue! For those of you who didn't know, Serena is a global chain of spas with a presence in India, Maldives, Seychelles, Spain and Singapore and in Pune, they are situated in the Corinthians resort and club. I visited Serena last week and not only did my spa therapy fix my back ache, but it also left me relaxed, restored and rejuvenated with an added bonus of baby soft skin which I can still feel a week later! As I entered the spa, I was greeted with a warm welcome from the staff who gave me a form to fill and asked me if I had any particular ailments or issues following which I was served a cup of warm green tea with honey and the menu to decide which therapy I would like to go for. I decided to try their Red Rice Signature Full Body Massage as I had read rave reviews about it. This spa treatment consists of a refreshing massage using a paste of finely ground pure organic red rice mixed with rose water and curd and is absolutely perfect for those of you who want to combine a skin ritual with a body massage or if you don't prefer an oil based massage. The therapy began with a short steam session to prep my skin and muscles for the massage following which my therapist started the cleansing process with a short foot massage in this luxurious massage room which was filled with exotic aromas, aesthetic lighting and tranquil music to enhance and optimize the total mind - body experience. I mentioned my back pain and the fall to my therapist so she used a combination of various techniques using deft movements which were very relaxing yet energizing. The hour long massage was something I was in dire need of and it left me rejuvenated for the week to come. Post massaging, she left a coat of the paste on me like a body mask, and gave me a oil head massage, focusing on the forehead, which was the icing on the cake. As the paste has a granular texture, it exfoliates and helps get rid of dead skin and post showering, I was amazed at how soft and smooth my skin felt. This is a chemical free therapy that is rich in antioxidants and does wonders for your skin! I absolutely loved this therapy and the best part about the spa being located in a resort that it is the ideal setting for you and your girl gang to have spa parties, pre-bridal spa getaways and spa bachelorettes! What makes things even better is that they have daily special offers along with packages targeted for specific skin/body types and even offer facials, scrubs and wraps making it an ideal stop for brides-to-be! It is also a great setting for you to have a spa day with your beau as they have couple therapies too and as I was exiting, I saw a couple walk in for the same. I totally recommend Serena Spa for a wonderful and relaxing spa experience and absolutely loved it! I'm sure you've pulled an all nighter sometime or the other in life which has resulted in very cranky next day along with headaches and fatigue. If you're not sleeping well on a regular basis, this can also lead to weight gain, risk of heart disease and a general reduction in immunity. Studies show that chronic sleep deprivation can cause weight gain by affecting our metabolism and by altering levels of hormones that affect our appetite. A key observation I have seen myself whenever I have been sleep deprived is irritability, impatience, inability to concentrate, and moodiness. I also tend to get headaches, backaches and hot flashes if I haven't slept well the previous night. And if all this wasn't enough, sleep disorders have also been linked to hypertension, increased stress hormone levels, and irregular heartbeat. Sleep debt also contributes to a higher tendency to fall asleep during the daytime and such lapses can cause mistakes such as medical errors, air traffic mishaps, and most commonly road accidents. It is rightly said that a good laugh and a long sleep are the two best cures for anything. When it comes to learning and memory, sleep helps the brain process and store new information in your memory via a process known as memory consolidation, which is why they say it is essential to get a good night's sleep before an exam or job interview. To put it in a nutshell, quality sleep will give you better memory, more focus, less stress, improved productivity, better relationships and happier days, lose weight, avoid aging prematurely and live longer. Phew, that's a lot of benefits in exchange for eight hours of shut eye, isn't it? A prime factor that contributes to your quality of sleep is your mattress and bedding. If you're bed is uncomfortable, it can lead to backaches and neck pain along and leave you tossing and turning all night long. I faced this issue myself as I had a queen size mattress made by a local vendor which I was really unhappy with. Thus, this time I wanted to make sure I get one that's super comfortable and gives me my daily dose of beauty sleep. 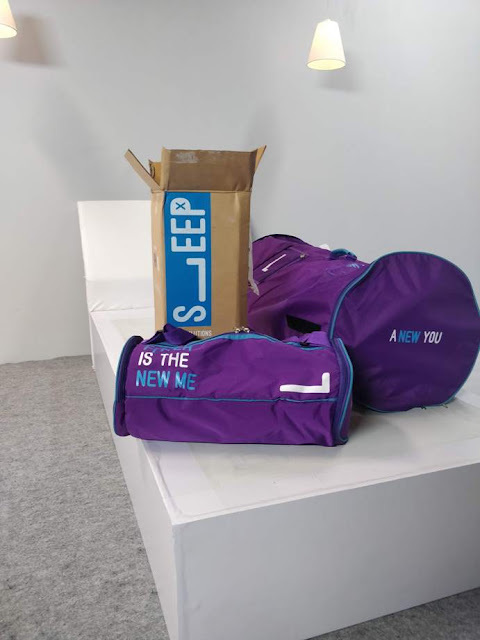 After researching various options available, I decided to go for SleepX - a bed essentials brand that recently launched in India. As I learned more about the brand, I was impressed by their range of revolutionary sleep-related products. With a range spanning with mattresses, pillows, toppers and comforters, SleepX products are innovated in a way to offer you ultimate comfort while you catch your z's. Their flagship fusion mattress caught my eye as it offers three different sleeping surface choices along with a nano-tech treated fabric that’s easy to clean after a spill. I also have seasonal allergies, so it was a relief to know that this mattress keeps allergens, fungus and bacteria at bay too. 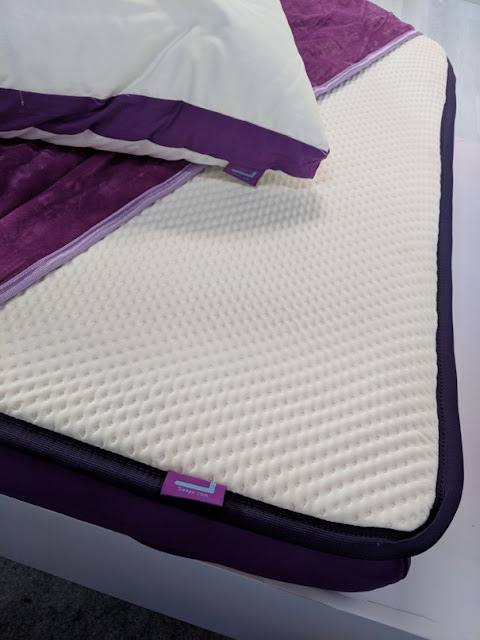 Since we don't really buy mattresses very often in a lifetime, it is essential to invest in one that gives you the best quality of sleep and comfort. The best part is they offer a 100 night trial on their mattresses after purchase, so in a very unlikely situation, if you are not satisfied with the product, you can return it within 100 days.